Harvey Weinstein is fleeing the country! or not. 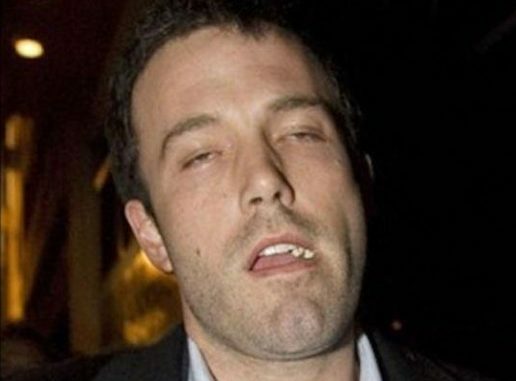 Ben Affleck’s ghosts are coming back to haunt him. What does white privilege exactly mean? We all wish we had genetic privilege like Lebron, The Rock or John Daly. It’s surprising that married celebrities hire attractive nannies. More Harvey Weinstein- nothing like a family argument in the street in front of strangers… & then calling 911. Those “sudden urges” can be really strong. What an amazing show of dexterity. Also out of Florida- just an amazing excuse for this Airbnb crime. Anyone else out there have a Airbnb disaster story? Marc’s daddy/daughter day just turned into a self indulgent bowling outing. Eminem put out a Donald Trump freestyle dis-track. It really needs a beat… and what about the guy that just wants to park his car? The Longest Today in Rock ever: Little Richard goes gospel then realizes rock and roll is better, Gene Vincent dies and never gets his due, Blondie becums Blondie, John Denver builds a plane without instructions, a man stabbed people at a Blood, Sweat and Tears concert and Tommy Lee got burned. The Human Non Sequitur shows up unannounced. The top earning dead celebrities of 2016. Peanuts, Palmer and Page? Happy Anniversary to the “pubic hair on a coke”. The “Ground Zero for Internet Bullying”, Monica Lew-egg-sky, has made an anti-bullying video using internet troll comments “in real life” leading to trolling comments underneath said video on the internet. Full circle! Megyn Kelly’s clock is almost to zero while her bank account hits 19 million. Kijuana Nige’s motives for outing the cocaine using Miami Dolphins Offensive line coach are suspect at best. At least Dr. Phil didn’t get the 1st interview- costing him ratings and her money. But in our attempt to find her we (including Donald Sterling) find a guy that is separated at birth with James Caan’s Brian Piccolo.